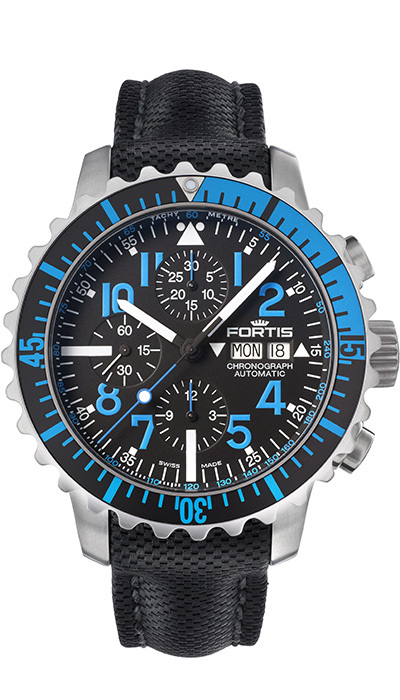 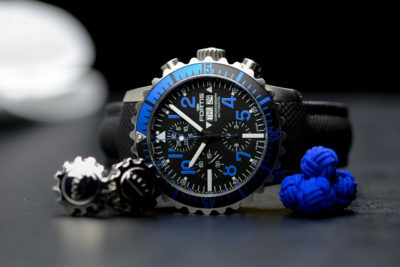 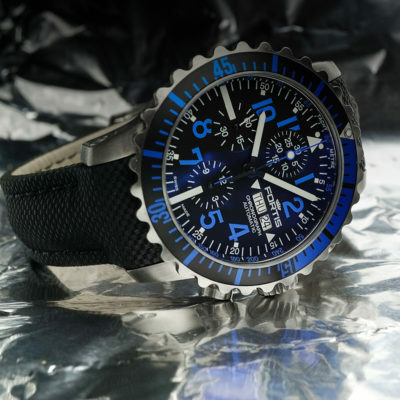 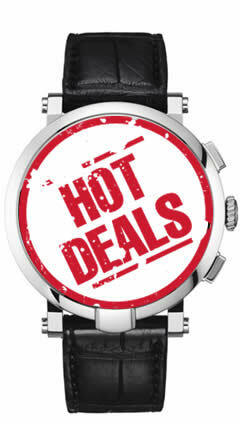 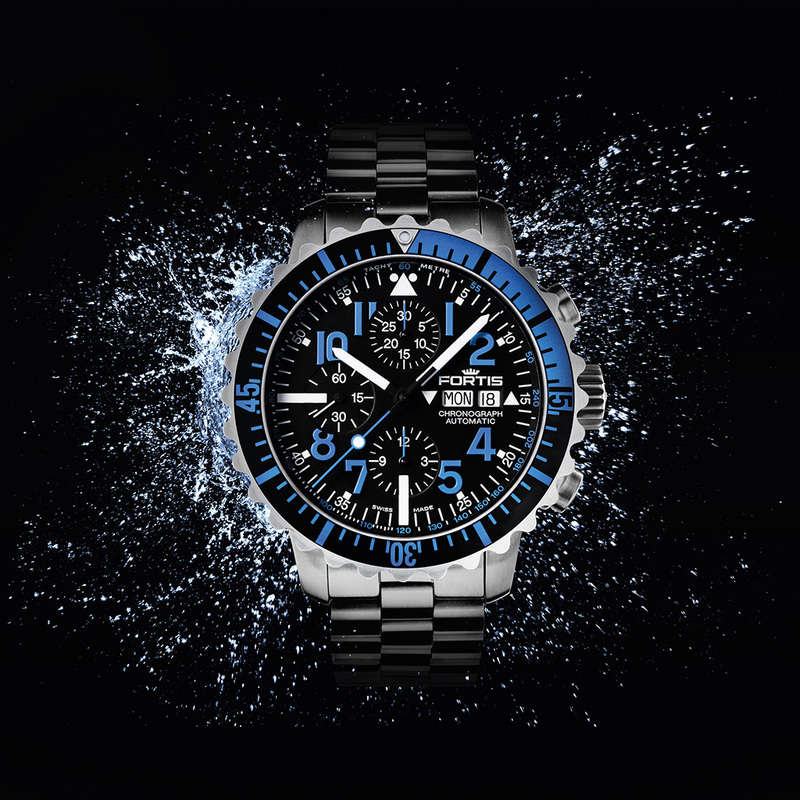 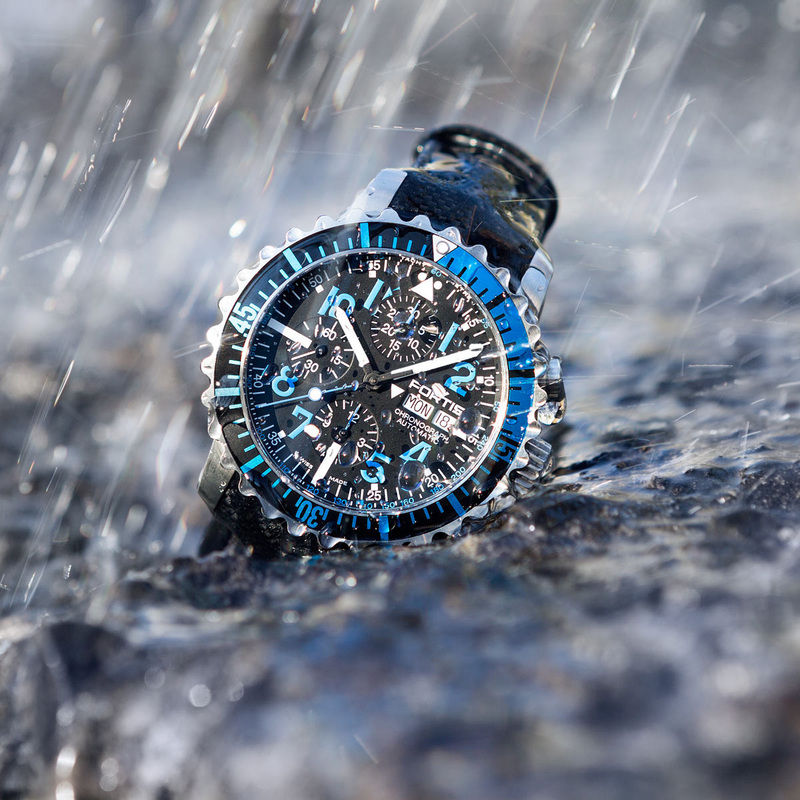 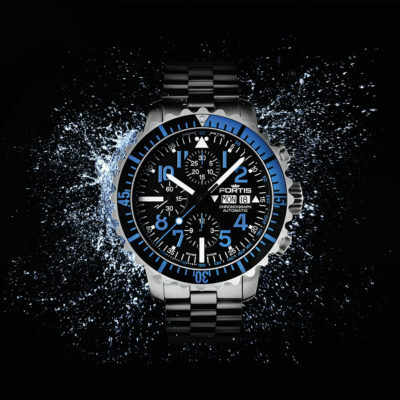 Fortis was one of the leading forces in the development of water resistant watches. 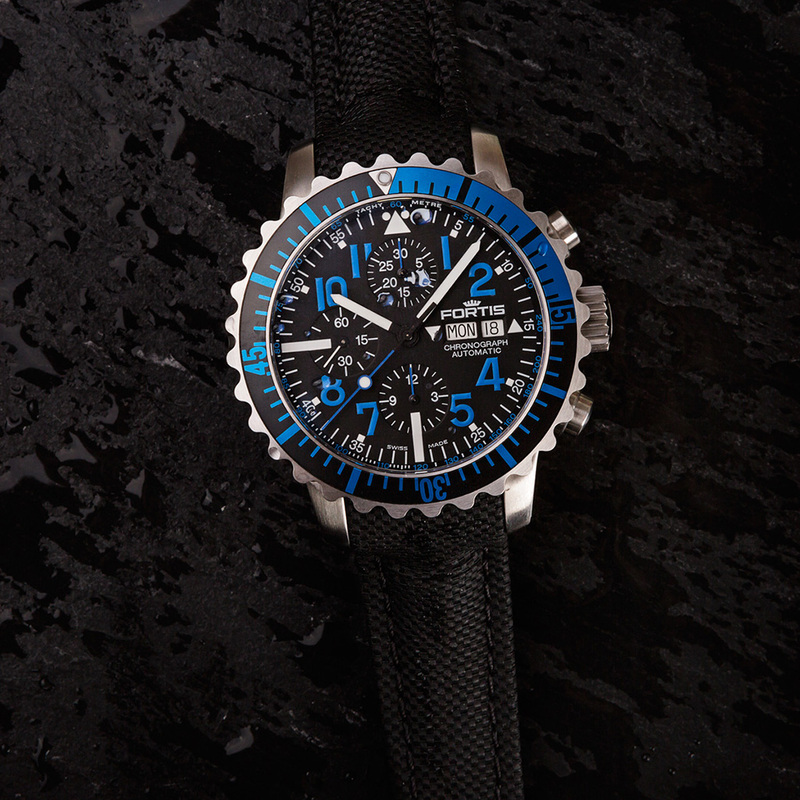 In fact, the first Marinemaster models appeared on the international market in the 1940’s. 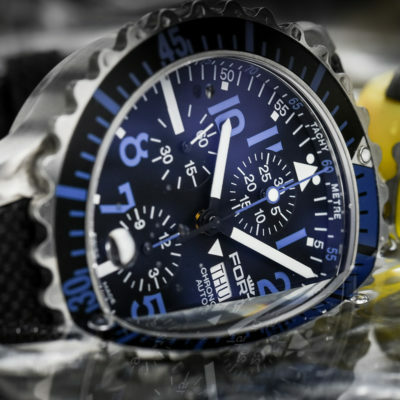 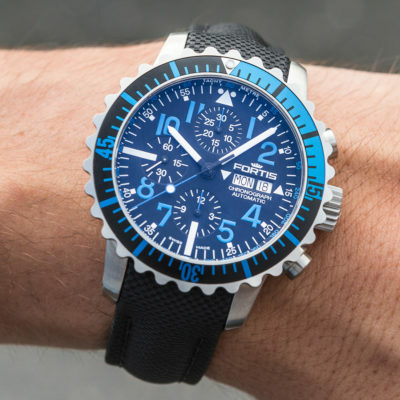 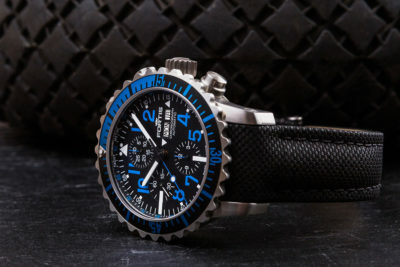 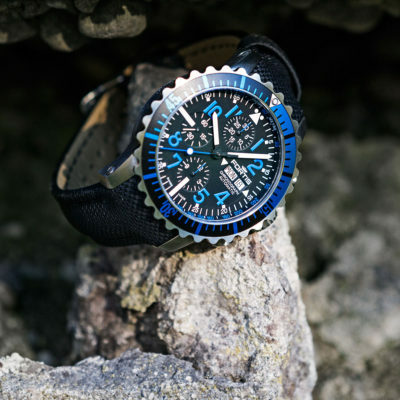 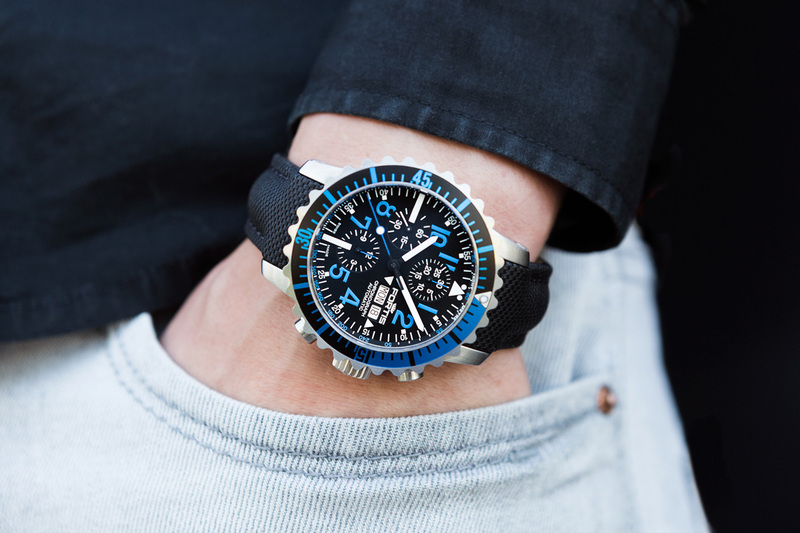 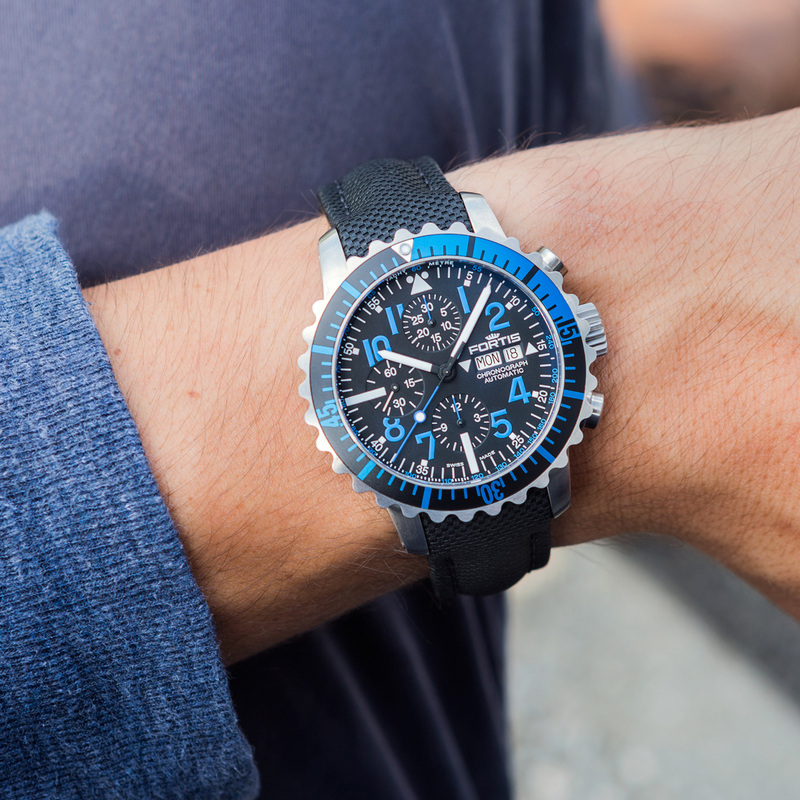 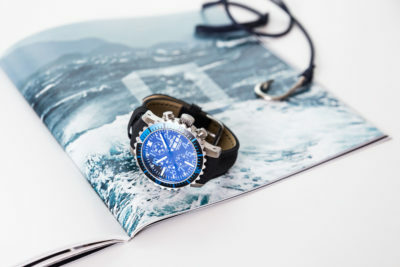 FORTIS’s current Marinemaster collection is thus highly functional and well-tested, giving you peace of mind whether diving into the depths or riding the waves above. 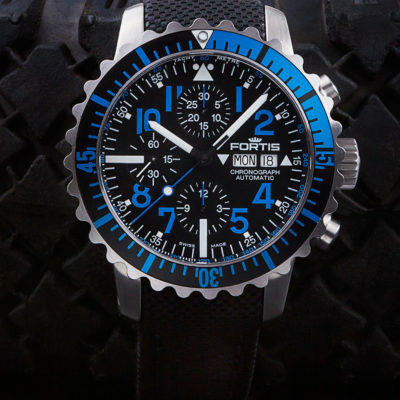 Characteristic features such as a uni-directional turning bezel and distinct crown are designed for perfect handling under extreme conditions. 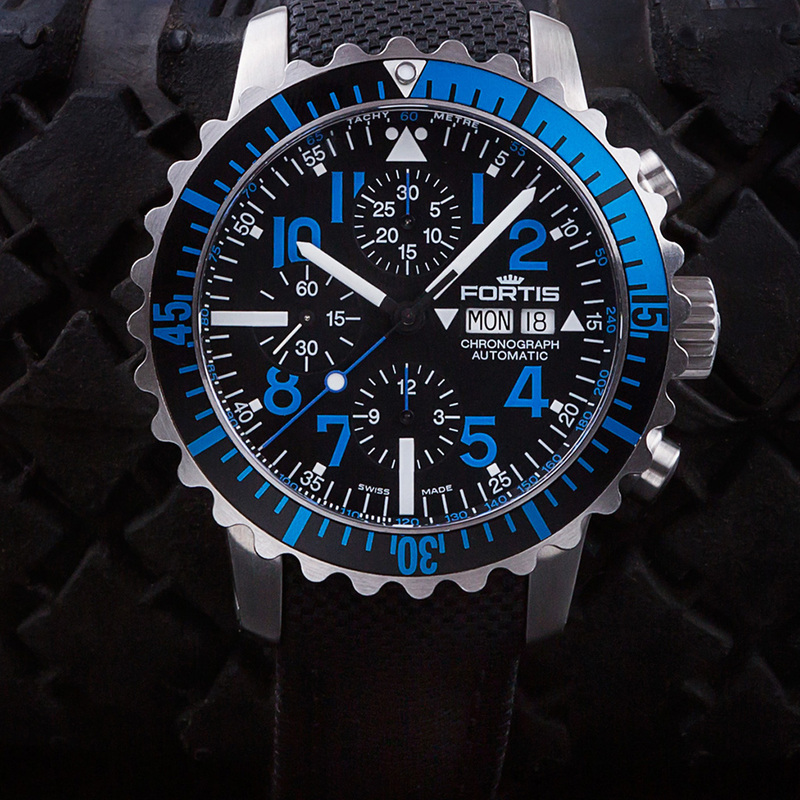 The bold use of colour and strong numerals, as well as a tactile bezel, give this collection its modern aesthetic. 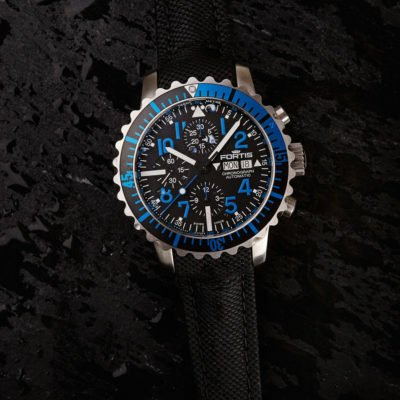 An additional marine motive can be found on the case back in the form of a traditional submarine motive embossed in the case back. 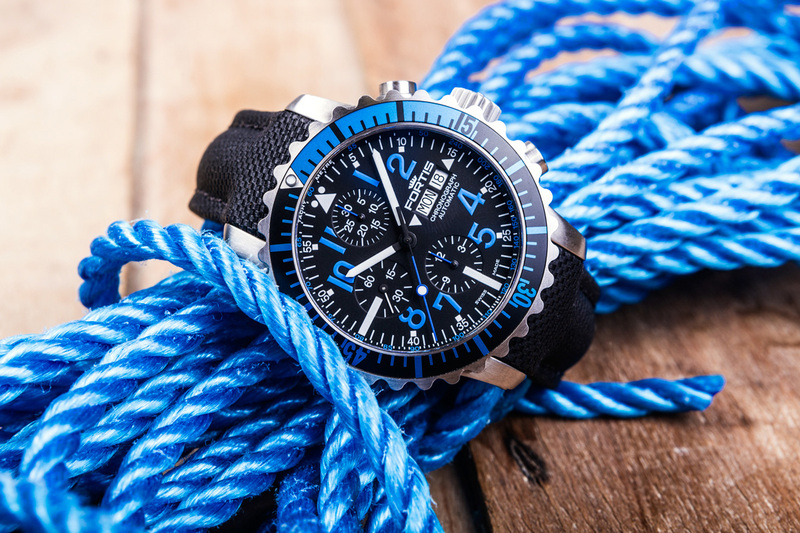 The Marinemaster collection offers a range of colour ways, band options and functions, including the striking and versatile chronograph, all designed to appeal to those who take their water sport seriously.